On January 24, 2019, the project team held a meeting for the KC Streetcar to the Riverfront extension. 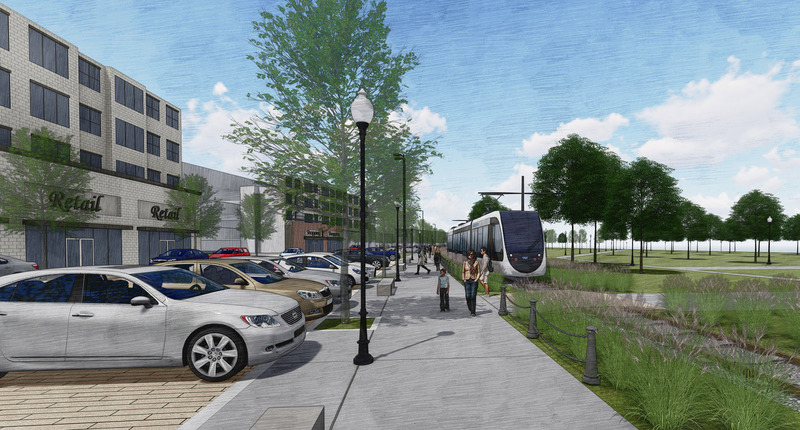 The project management team for the KC Streetcar to Berkley Riverfront Park consists of the Kansas City Streetcar Authority, the City of Kansas City, Missouri, Port KC and the Kansas City Area Transportation Authority. 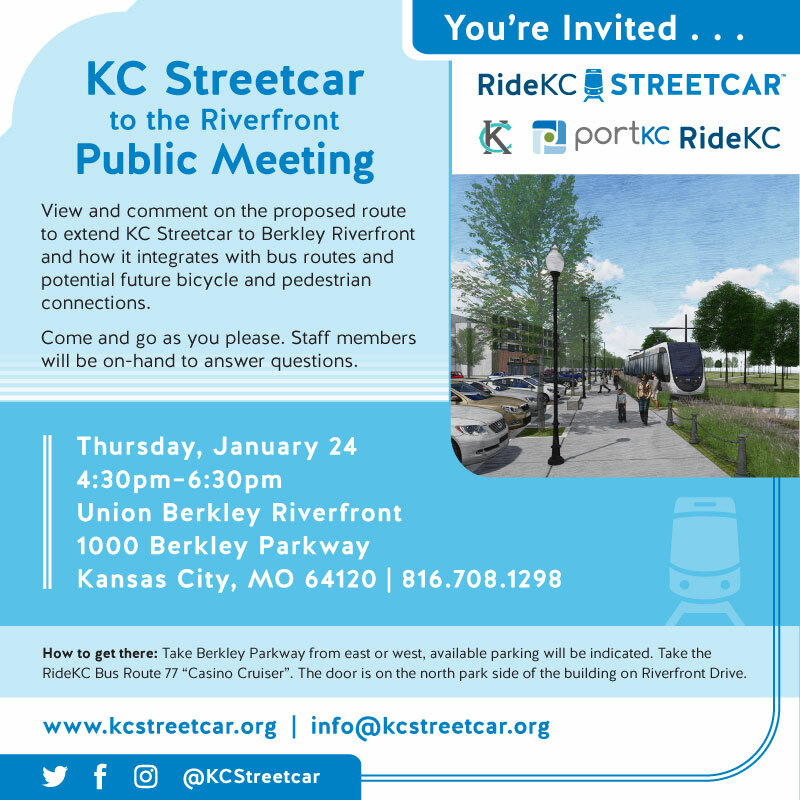 At this meeting, the public was asked to review and comment on the proposed route to extend the existing KC Streetcar to Berkley Riverfront. Other options for review included station stop locations and a new proposed bicycle and pedestrian connection bridge.